The United Federation of Planets was formed in the Earth calender year 2161, on May 8th. Admiral Jonathan Archer declared this day to be the day that the Earth made a new alliance that would spread the word of peace and exploration across the universe. Humans, Vulcans, Tellarite, Andorians and the Centauri colonies jointly formed the first member races of the United Federation of Planets. A constitution was drawn up, much in the vein of the 1776 Constitution of the United States of America drawing on such documents as the Magna Carta, U.S. Bill of Rights, Constitution of the United Nations and the Constitution of the Coalition of Planets. A new age of peace and prosperity was born, and the expansion into the stars increased at a logarithmic rate. Co-operation between Federation member races increased, advancing technology forwards in all aspects. New races with warp technology were signed up to the Federation. The Federation is overseen by a democratically elected President. The Presidency of the U.F.P. is based upon four year terms. Presidents may be elected for more than one term of office, but for no more than two terms under normal circumstances. As can be seen from the above breakdown of the Federation, Starfleet is the exploratory and defensive organisation of the Federation and is thus ultimately controlled by the democratically elected members of the Federation Council and the President has final authority over Starfleet matters. Currently, as of Stardate 11202.5, the United Federation of Planets consists of 105 members, covering an area of space that requires several months at high warp speeds to cover from end to end. Earth is the administrative headquarters of the Federation, with the President's office based in Paris, France, and the Federation Council based in San Francisco, near to the Starfleet Command buildings. The Federation is also responsible for numerous colony worlds. So what is the United Federation of Planets in 2312? Most maps of the Federation from Star Trek Star Charts and Star Trek Stellar Cartography are from maps set in the 2370s. Back in 2312 the picture is very different. The Federation is a fraction of the size, with bubbles of Federation space centred around core worlds and colonies. This is like colonial America in the 1880s. 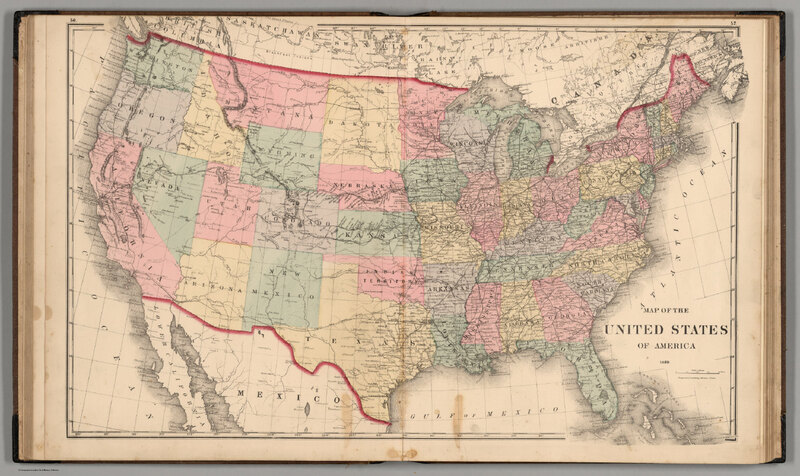 Or this third version of an 1880s map. 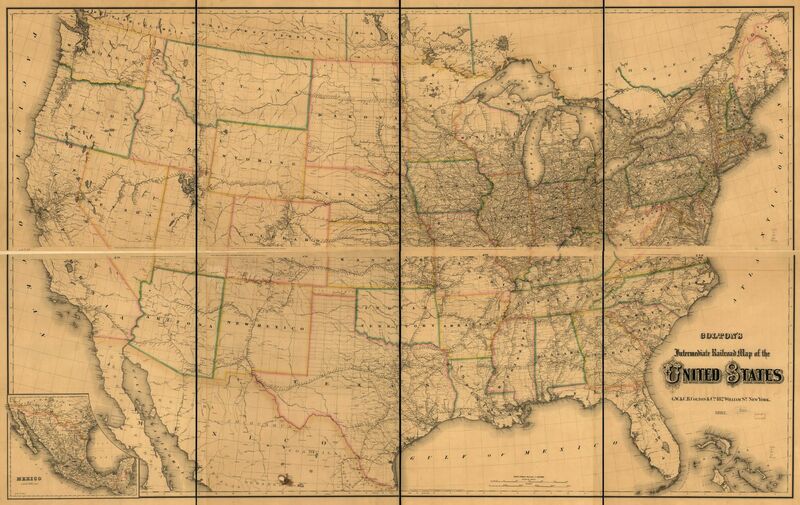 or the 1795 map of American colonies which is analogous to the early 23rd Century. The core worlds of Earth, Vulcan, Andoria, Tellar and the Rigel colonies are like the East Coast of America 1880 with an extensive route of starbases and trade routes matching the spidery lines of the railroads. 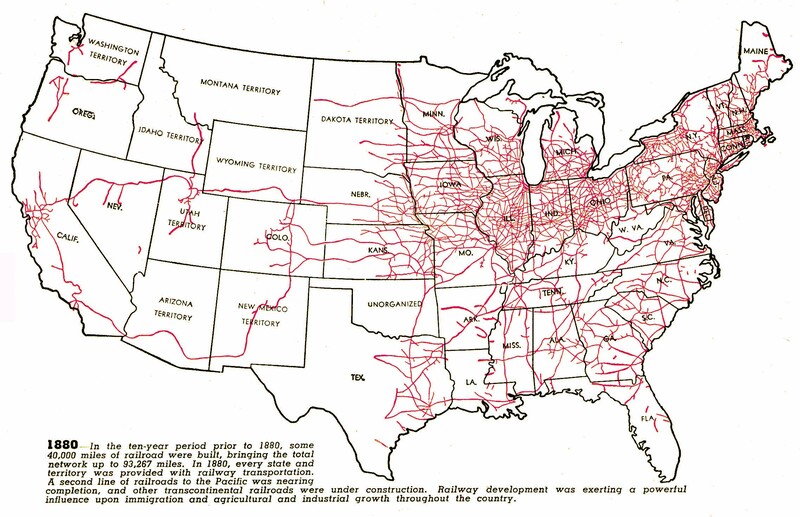 The outer reaches of the Federation (much closer than the 2370s map suggests) is more like the Mid-West and Western USA in 1880 with only a few routes and bases. There are just over one hundred starbases in existence at this time, most in the central core region of the Federation with a reducing number of smaller sized bases towards the frontier. Although the Stellar Cartography map shows Federation space reaching down towards Betelgeuse, by 2312 the truth is the Caitian region is fairly new at being assimilated into Federation space. Star Trek II had the Mutara Sector as a testing ground for Genesis, this can safely be assumed to be far from settled Federation space, only just being colonised in the region towards the present day in the Interim Years. Even the worlds that we saw with colonies on in ST: ENT and TOS are now only home to several million settlers by 2312. Put on the scale on an Earth-sized planet, this would only be the same population as a couple of cities. The rest of the planet is unsettled. This explains how the Klingons could cross the Neutral Zone in TOS without being noticed. Like the 1880s America, the Federation has begun a process of civilisation since the signing of the Khitomer Accords in 2293, expanding the Starbase network to aid communication just like the railroad did in the 1880s. The era of subspace communications taking hours for an update are coming to an end, rather like the upgrade from dial-up internet to broadband and then onto high speed fibre-optic. The advent of the Constellation class in the 2280s provided a major boost to deep space exploration and colonial programmes. One of the main projects is to solidify the border lines with the neighbouring nations, to allow for internal stability and avoid conflicts through unknowingly passing into the territorial space of another nation. This is the end of the ‘Wild West’ Federation as the age of the ‘Tamed and Civilised’ Federation dawns. The Federation is an ideal, one that was first written over 150 years ago on Earth. These ideals are to abolish hatred, hunger, disease, war and want. The Federation has an Interstellar Law which it holds dear, guiding all members towards common values and ethics. With cutting edge technology available this allows the core member worlds of Earth, Vulcan, Andoria, Tellar, Delta IV, Betazed, Alpha Centauri and the Rigel Colonies to support populations of billions of people in an environment of arcopolises that support the people and the environment in a delicate balance. Even compared to the time of Jonathan Archer and James T. Kirk these worlds have been at the cutting edge of advancement. Democracy holds sway here and each world has a representative on the Federation Council. Despite the occasional threat from V'ger and Whaleprobes, this central region of space has known peace for decades. Author's Notes: This is all about what Star Trek is about: exploring, discovery and diplomacy, not shoot 'em up Star Wars-lite. My visit to see the Magna Carta exhibition at the British Library brought home to me the values that have been developed over the centuries and cherished: the Magna Carta, the US Declaration of Independence and Bill of Rights, the Charter of the UN and so on. The Charter of the United Federation of Planets will develop this further, to give ALL life equal rights and to cherish ALL worlds EQUALLY, with no special veto powers given to a minority, which is the case with the UN Security Council. Despite what was seen in the Star Trek movies of the 80s and 90s, this is NOT an era of all-out constant war by the Federation. Instead this is an era of fierce ideological contrasts and cold war, with diplomacy and debate winning over a shooting war option. Whilst there are conflicts in neighbouring nations, the UFP itself has not really faced open warfare since the Four Year War of the 2240s. Brief conflicts such as the Taal Tan 2283 border clashes with the Klingons and the Romulan clashes leading up to Tomed are the worst in recent times, beyond the Interstellar Concordium Pacification War or 2294 - 98 and the Tabula Rasa campaign of 2289 - 92 - both of which took place mostly outside of Federation space. In the Interim Years, I want to see a victory of diplomacy over warfare. Talking and political engagement over fighting. This is where the Federation reaches maturity. This ideal, when examined, is focussed on the major homeworlds of the Federation members, and is spread outwards through the administrative aspects of the Federation, such as embassies, ambassadors and, most importantly, Starfleet. Starfleet officers and personnel are taught the ideals of the Federation and go forth into the stars to practice these ideals and uphold these same ideals no matter what is faced.Federation media is also a powerful tool for the spreading of the Federation ideal. As Quark and Garak noted in Deep Space Nine, the Federation is insidious. The Federation ideal is a very attractive one, peace and prosperity, sharing of knowledge and the light of no longer possessing the chains of money and wealth to burden our desires with. Of course, as with most [if not all] ideals, the ideal is most strongest at the source, and the further away from the source one travels, the less strong this ideal is. It is easy to imagine paradise on Earth. All poverty and disease has been defeated, pollution and starvation are the nightmares of the past, and everyone has the equal opportunity to achieve anything they desire and be anything they desire. Further outwards, on the outer rims of the Federation, where supplies are stretched to the limit, where many of the technological advances have not yet reached, these dreams and ideals seem almost as far away as they do in present day Earth. Factors motivating the Federation are not limited to the ideal. Energy Security has been high on the agenda: dilithium has made warp travel possible and finding supplies has been a driving force for protectorate status and even membership of the Federation. During the expansion of the Federation that ultimately caused conflict in the 2160s and 2240s, part of this was to find supplies of dilithium to keep the starships travelling at warp speed and the power stations of the member worlds running to power the future. Colonial operations drive the need for starships as the population of each member world swells due to the advanced medical technology available. Where in the past medical aspects like genetic disorders and disease would have limited the reproducive rate of a species, these limits have now been minimised and, as a result, new home worlds are needed for the ever-growing Federation population. Federation policies are strongly driven by this. Feeding and watering the population of the Federation drives the colonial programme as well as looking at how the population of a planet can continue to expand. A related factor is Immigration and Border Control. The border of the Federation is a convoluted 3-dimensional frontier that is almost ungovernable. Federation police and border services utilising Starfleet Okinawa class corvettes and monitoring stations for Starfleet Security and Starfleet Intelligence help to control who crosses into Federation space. One of the concerns is illegal trafficking of goods, drugs and people and the Federation Council must strive to ensure these illegal trades are stopped completely. (For more on immigration see Gateway Colony below). Policing the Federation worlds, colonies, space facilities and starships is a constantly evolving quest. With all of the new races and cultures joining, new beliefs and ways of life come to clash and by using drones, passive survellance techniques and sensors, crimes and illegal activities like drugs and people trafficking are reduced to almost zero. The Federation Council has evolved over time as more and more members have joined. By 2311 there were dozens of member worlds and colonies. Starfleet had a good number of space stations (such as the old K series) and just over 100 of the higher quality starbases (most of the Regula or Watchtower types and a handful of the larger mushroom spacedock type). The Federation Council has evolved alongside Starfleet, growing from the small Coalition of Planets with its half a dozen members and pioneering spirit of Jonathan Archer (like Christopher Columbus era colonialism) to the Wild West-style era of Garth of Izar and James T Kirk. Now the drive from the Federation Council is to 'tame the Wild West' and sent chains of starbases across the Federation. These starbases will create a communication network that will bring the Federation closer together (like the spread of telegraph system across the United States and Australia). This is the defining characteristic of the John Harriman and now Demora Sulu eras. Author notes: this is the era of taming the frontier. In The Next Generation we have 500+ starbases and in the Original Series they focussed on mainly 12. The Interim Years is about reclassifying space stations and facilities as starbases by upgrading them to certain specifications and abilities. This in turn increases communications and reduces the need for independent cowboy diplomacy and more co-ordinated, responsible actions with Starfleet Command and the chain of command. This is an almost totally new Starfleet and Federation to the one Kirk inhabited. The legacy space stations and early starbase types are to be upgraded for the 24th Century, to be able to maintain the latest starship types. The newer members of the Federation Council - the Betazoids and Deltans to name but two - are of a more pacifistic mentality. Along with the Vulcans and Rigelians they have formed a pacifist bloc that aims to de-militarise Starfleet and learn the lessons from the Interstellar Concordium War of Pacification, along with the protracted Cold Wars with the Klingon and Romulan Empires, to find diplomatic solutions to issues that have been addressed militarily before. The pacifist bloc has put forward proposals for the Starfleet Review of 2311 to stop the production of anymore vessels of Dreadnought (DN) or Heavy Dreadnought (DNH) classification - specifically the Federation and Ulysses classes. The Komsomolsk class construction to be slowed pending an examination on whether to cease this production as well. Only the Ascension class Light Dreadnought (DNL) and Ark Royal and Youngblood carrier classes are to be retained with their peacetime applications. The training methods of Starfleet Academy are to incorporate a greater emphasis on peace-keeping, negotiation and conflict diffusion. Author notes: as with the debate in 2015 about the Trident nuclear system Successor programme in the UK, this is about the Federation and, in turn, Starfleet deciding on what it stands for in the 24th Century. By The Next Generation we have no dreadnoughts and warships, suggesting that between Kirk and Picard on the Enterprise, Starfleet does away with these things. A pacifist bloc has been developing in the UFP for decades and now reaches that pivotal point after Khitomer and the Treaty of Nimbus to mothball the military, rather like what was mentioned in Star Trek VI in the meeting in Starfleet Headquarters. Whilst our scientific and diplomatic missions will be unaffected, our military warships will be cut. The President, UFP and Starfleet want to find another way instead of fighting; we are explorers, diplomats and discoverers first and soldiers last - and only when we have to. Life in the Core Worlds. By 2312, life on the core worlds (Earth, Vulcan, Tellar, Andoria, Rigel colonies etc) is pretty much like in the Next Generation. Since the 2280s movie era, Starfleet has expanded their starbase network from around 70 starbases to nearly one hundred. From the perspective of living on the core worlds, the Federation is their equivalent of the European Union or United Nations – a giant entity that incorporates many peoples and nations. With the frontier a distant concept, the core worlds see themselves as the political powerhouses of the Federation. Earth has the majority of the Federation political structures based there and is, arguably, the capital world of the United Federation of Planets. The large populations on the core worlds argue for a more representative vote in the Federation Council to account for their percentage of the population; colony worlds and smaller entities being arguably less eligible for an equal vote as how can a world of a few million life-forms have the same say in Federation affairs as a core world with 10 billion? The core worlds have shipyards, spacedocks and starbases orbiting above them. Many have fleet headquarters for one of the nine numbered fleets. Newer core world members like Cait and Betazed maintain their influence over their local space but now as part of the Federation. The Fourth and Fifth fleets have been created for Starfleet based around these newer worlds in the rimward direction of the UFP. As these newer members have been added to the Federation Council, the very nature of the Federation has continued to evolve from how it was at its inception. As the Federation grows, so the perspective of a member world changes from introspection of its own international affairs to a larger scope of the internal Federation affairs; this in turn covers an ever-increasing area as the frontier is pushed back. As the subspace network has been enhanced and real-time communications are expanded from the core planets outwards to the colonies, so the Federation members as a whole have been drawn together socially. Whereas in the 2260s the missions of the Enterprise, Hood, Yorktown and others made the Federation news services as they explored the outer regions and made first contact with worlds, those same worlds are now established members and colonies. The core worlds of the UFP continue to exert the greatest influence on the direction of the Federation Council, but as more core world members are added, this individual influence is being diluted down over time. Many UFP aspects inspired by Admiral Marcus’ powerwall from STID. The Federation is still going through a period of growth, and growth is painful. Picard's Federation is still 70 years away, and the message that will eventually permeate the Federation is still spreading outwards, like bubbles in a soft drink. The dream will be realised, it is only a matter of time. Outer portions of the Federation, such as the driftward 'Eastern' region were only colonised around the time of the voyages of the U.S.S. Kelvin in the 2230s, 40s, and 2250s. These worlds include: Poseidon the water world, Radley's Reach - an L class mining colony and starbases 6, 15, 36, 52, 105 and 123. This region of space is to the core Federation worlds as the Falkland Islands are to Britain or Guam is to the United States of America. They are loyal to the flag, aspiring to the ideals but life is less cosy and much less safe. It is easy to be British in London, or to be American in New York, but when you are on a part of sovereign territory far removed from the source, life is not the same. How easy is it being, or feeling, British in Port Stanley on the Falkland Islands? A very different experience when Queen and Government lies thousands of miles away. So it feels in this distant corner of the Federation. The driftward, or 'Eastern' side of the Federation lies beyond Klingon space in the Beta Quadrant. This portion of space was colonised once the Romulan Star Empire retreated behind their Neutral Zone and allowed Starfleet the freedom to explore this region. The home of the Ninth Fleet of Starfleet resides at Starbase 15: Pharos. This base is located at Canopus on the fringe of the Federation; from here the legendary five-year missions prepare and set off, and mostly always return. 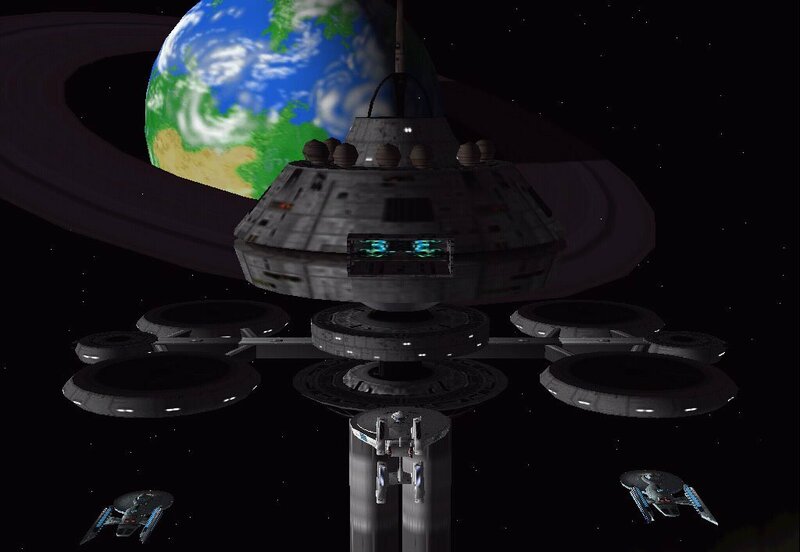 Enterprise, Hood, Lexington, Yorktown, Excelsior, Darwin- these and many more legendary starships have travelled through this starbase to head off into the unknown. Originally a Forward-Deployed element of the Second Fleet was assigned here to defend the region, but after the invasion here by the Interstellar Concordium in the 2290s, a permanant fleet was created at this base and never disbanded. Such was the furore that the Federation itself had been invaded that was directed at the Federation President and Starfleet Commander-in-Chief that extreme action was required. Starbase 6, along the Klingon border, predated the Pharos station. This started as a Watchtower class starbase before being updated. It was from Starbase 6 that the Excalibur and the ill-fated M-5 Computer Battle Simulations were deployed. 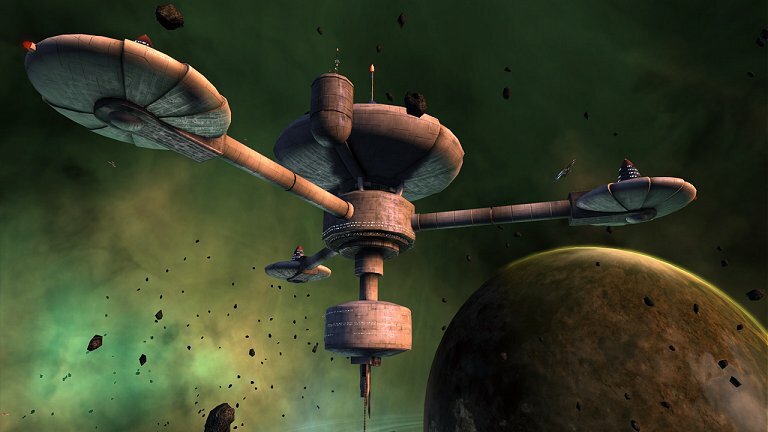 Along the border is Starbase 36 which aids in deploying vessels to patrol the Klingon Border, although these days it is more a precautionary deployment more concerned with smugglers and illegal immigration across the border than actual attacks from Klingon warships, although the attack on Starbase 11 in 2298 showed this is still a hazard. This driftward region of the Federation is reached through the Nirophian Corridor. Often described as the Suez of the Federation, this narrow access allows Starfleet ships access from the core Federation worlds to this region without having to circumnavigate either Klingon or Romulan space. It cuts valuable time off the trip. To secure the Corridor, Starfleet has a starbase at either end: Starbase 77 on the coreward end and Starbase 52 on the driftward end. These bases regularly deploy Apollo and Akula class ships to ensure the security of the Corridor, protecting the hundreds of freighters that traverse the connection to deliver valuable trade to and from the frontier. With Orion, Klingon, Ch'ramaki and Ferasan space all within easy reach of the Corridor, security is paramount in Starfleet's concerns. Poseidon is a water world that is rich in rare minerals, it was colonised early on in the region by traversing the 'long way around' from Klingon space. When hostilities flared up, the world was left to its own devices for years. Poseidon was regularly traded with once the Nirophia Corridor was established. In the meantime, the planet had become a playground for less-desireable criminal elements and some of the rare minerals on the planet had been found to have narcotic effects. This has - and still continues to - cause Starfleet concern about maintaining the ideals whilst criminals ply illegal drugs across the Federation from this colony. Technically now a Federation colony once more, the drugs trade is still alive and kicking. Author's note: adapted from the superb RPG Blue Planet. Bold Futura's PV-422 is a corporate world that is owned by the research arm of Tagruato Corporation. The planet is more commonly known as Radley's Reach, an L class world rich in rare minerals. Bold Futura has invested heavily in the colony, building an atmospheric processor which is converting the air of this 'shake and bake colony' into a breatheable one in the next few decades. The planet itself is devoid of life and has frequent dust storms with electrical qualities to them. Freighters frequent the planet from the parent company to both deliver new colonists and employees whilst removing the latest load of ore and profitable materials. The colony is currently expanding and building ore processing facilities to cut time on having dilithium and duranium ready for collection. Facilities at the colony are best described as 'rough and ready' but they are constandly improving. Starfleet rarely visits the planet but does occasionally send a flag-waving expedition to check the colonists are ok. Author's note: based on James Cameron's Hadley's Hope colony from Aliens. Bold Futura and Tagruato Corp are from JJ Abrams' Cloverfield. Gateway Colony is one of the Federation's main immigration colonies. Located near Starbase 15, the colony is designed to be a catch-all for all immigrants crossing into Federation space in the Beta Quadrant. Like Christmas Island for the Australians, Gateway Colony allows specialist xenologists to study the new arrivals, educate them to the Federation and it cultural and social laws whilst learning as much as they can about the new lifeforms and their requirements. The colony is designed to locate worlds in the Federation upon which the new arrivals can settle. Due to population concerns in the core worlds, the new arrivals tend to be directed either towards existing colonies on the outer reaches or to new untamed planets to have for their own as new members of the Federation. Conditions on this rapidly-expanding immigration colony are said to be the best but recent riots have shown that the colony is struggling to keep up with the sheer numbers of new arrivals. Add to that elements of Ch'Ramaki and other terrorist factions crossing into Federation space for protection and the scope for trouble on the colony is high. Starfleet keeps a squadron of Okinawa and Apollo class ships free to address rapidly any trouble that might flare up. Established in the 23rd Century, this colony was a centralised location to process immigrants in order to accept them into the Federation or to decline their entry. The colony was intended to be there for several thousand immigrants, but has doubled in size over and over and is now the largest immigration site in the Federation. The colony has had rioting over conditions as recently as 2309 and is a political hot potato. The Canopus system residents are ‘very uncomfortable indeed’ with the presence of the ever-growing immigration centre and are increasingly pressuring their Federation representative to get the colony closed down and moved to a new site on the border or outside of the Federation. A political bloc is emerging in the Federation Council with this objective in mind. Doctor Elizabeth Hawkins has been at the Gateway colony for the last few decades. She brought her young family to the colony in the 2270s when the colony was a fraction of the size it is now. Doctor Hawkins witnessed races such as the El Aurians escaping from invasion, others like the Ch'ramaki and Terajuni escaped from annexation by the Klingons. This in itself brought complications as races accused of acts of terrorism joined the colony populace. The medical centre at the colony grew as exponentially as the colony itself, having to deal with biology and diseases that no one in the Federation had encountered before. The good work and new knowledge that the colony was constantly generating was buried by the controversial news headlines of the state of the ever-expanding colony. The medical and administrative centres were caught up in the riots of 2309. Whilst the administrative centre was the focus of much of the violence and deaths, the medical centre was used as a barting chip. The immigrant population needed medical facilities and doctors, not administrative bureaucrats. Author notes: Why have an immigration colony? Firstly to provide a fair and efficient location to process immigrants. Given the size of the Federation (vast even by 2312) you need a place where the specialists can be located to give medical and administrative help and processing rather than shipping them around – which is impractical. In addition, should the immigrants have a contagion or other complication, the situation is contained in one location. Ditto in the case of terrorism. Assessments can also be made of the impact of immigration on both the fabric of the Federation and on the immigrant themselves; idly adding new peoples into the Federation can change the political and social make-up and beliefs of the Federation and could even develop into cultural clashes. These facilities see off these problems before they start. Real life case: the rise of the UKIP political party in South-East UK is due to the perceived impact of immigrants on the area. The Federation is a dynamic entity, and the addition of Deltans and Betazoids (amongst many) changes the outlook of the Federation Council (and therefore Starfleet) to the more pacifistic stance in place by TNG Encounter At Farpoint). Arguments against the immigration centre: Gateway Colony has been shown in documentaries about the poor standard of living of the immigrants awaiting processing, the length of time taken to process the backlog of immigrant applications. The rioting in 2309 made the colony a hot potato, one successive politicians would rather have dealt with quietly or with an ‘improved’ process – although in truth these ‘improvements’ can never be agreed upon or are never clarified. The colony, quite simply, cannot be enlarged quickly enough; the colony has doubled in size in the last decade, however this has been the case for each of the last several decades. Nirvana Colony, near Starbase 15 'Pharos', is a centre for psychological research and a colony for the recuperation of both Starfleet and Federation members requiring specialist psychological counselling and treatments. 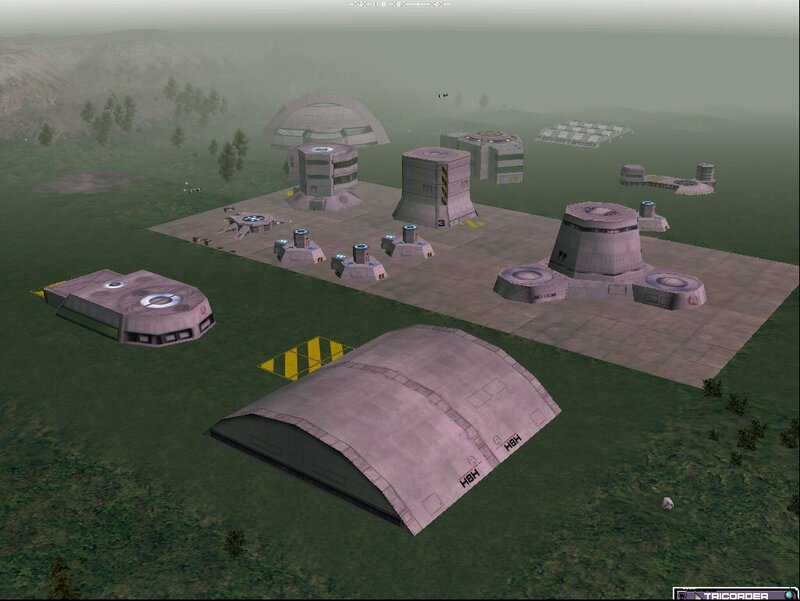 The colony is run by the Federation Medical Council, Starfleet Medical and also private corporations such as the Dharma Initiative and Massive Dynamic sub-corporation ExtenzaLife have facilities and personnel here, developing the RealMe range of products. The best psychopharmaceutical treatments are available here as well as skilled neurosurgeons. As with the Tantalus Colony, this world helps those with psychological trauma to recover and return to their lives. The colony has a curious mixture of medical recuperation centre mixed with a pleasure resort for the relaxation of those with psychological trauma and those just wanting to relax and unwind. Many Deltans, Aenar, Vulcans and Betazoids can be found at this colony; Starfleet assigns personnel from long-range missions to these colonies for a few weeks after their missions as a matter of course to determine the wellbeing of their crews. Starfleet has a duty-of-care to any traumatised by their experiences on the final frontier. Since the invasion of this part of the Federation by the ISC in the 90s, Starfleet has pursued a policy of building new starbases with 105, 117 and 123 just the latest to come online with more to follow. Starfleet has also exhausted a large quantity of resources building the Cassandra Array - a listening and surveillance facilit of vast proportions in the middle of the driftward Federation. This facility passively eavedrops on transmissions from further afield such as the Klingon Empire, Romulan Star Empire and Interstellar Concordium. It is believed these nations have their own versions of this Array. Starfleet Intelligce uses this facility to scan into space and try to prevent any recurrance of the invasion. Hopefully the array will detect any approaching attack fleet in time for a coordinated response to meet and defeat the intruders. One of the things to do is about the Presidents, Senators and Federation Council. We have Aowr Sh’ghee as our current second term president (2308 – 2312, 2312 - ) and we know we have Ra’Ghoratreii in three terms up to 2300 (Cast No Shadow novel - 2288 – 2292, 2292 – 2296, 2296 – 2300) and I have written an unnamed Rigelian in as the two term missing President from 2300 – 2304, 2304 – 2308. So we have a new President to write, leaning to Rigelian tendencies, so I feel a more left-wing pacifistic President coming on. One who has done an Aboriginal-style walk to discover his true path – one as senator to his people and President to his nation. Off the back of Khitomer and the Treaty of Nimbus, this is the president who goes for reducing Tacfleet, for disarmament and the ‘end of a chapter of conflict and new chapter of peace’. This is our Neville Chamberlain, our Tony Blair. The emphasis is on exploration and not conflict. This is also the President who finally gets Hikaru Sulu to depart his centre chair as Captain of the Excelsior to become a flag officer (Commodore – C-in-C by 2311). The emphasis on exploration may be the incentive. This President will push for the revival of the Federation ideal – as mentioned by Tony Todd in Axanar – and the attainment of higher values held back for decades by the ‘chains of conflict’. This is the revival of the core worlds to act as an example for the outer colonies; this in itself will create the circumstances Sh’ghee will exploit in 2308 to get in on the vote of the outer colonies upset by the central worlds taking all the revival effort. Our Rigelian President, working with Starfleet Command, will be working on strengthening the non-intervention policy. The Ferasan DMZ is one area discussed behind closed doors, as is the Romulan Neutral Zone. The idea behind this is to look at where Starfleet has been conducting long-term military operations and where these could be wound down or ceased. This interim President will rely on engagement and conferences to buy peace. The co-operation with Chancellor Azetbur results in the agreement for the Nirophian Corridor, but at the cost of the Federation backing off on such issues as Terajun and Ch’ramak. More emphasis is placed on Okinawa class and T’lani class scouts, backed up with Oberth class. Dreadnought and carrier projects are questioned in a review of Starfleet that looks at whether such colossal vessels are warranted in the 24th Century. Initially his C-in-C would be chosen to match his policies, so we are looking at a more pacifist Starfleet Commander. A Vulcan would be the logical choice, but the path is there for an Admiral who is Betazoid, Deltan or Tellarite. All of this would take place whilst Sulu was working his way up the ranks from Chief of Starfleet Science as a Rear Admiral all the way to the top job. More on our interim Rigelian President of 2300 – 2304, 2304 - 2308. Early on in his first term, this Rigelian President would have been praised for the beginning of anti-piracy operations in earnest against the Orion Syndicate. Both the core worlds and outer colonies welcomed this action. The expansion programme with the starbases would bring the Federation closer, providing security and a sense of wholeness. He will have been behind the humanitarian support to the Klingon Empire after their skirmish with the Sha’kurians. To help keep them on-side, medical aid and ships would have been loaned to assist. When the Tholians take advantage of the situation, the President continues the aid to the Klingons, despite protests by the Tholian ambassador. The president cites that it is the Tholians that are on the offensive and that the Federation has been asked for humanitarian assistance. Meanwhile, Ferasan diplomats negotiate with the President and Federation Council for a slackening of the Treaty of Sirius, citing that their government feels no malice towards the Federation and that their de-fanged military poses no threat. This Rigelian President would have had to navigate through the ISC building up satellites and resources on their border. Calls for action will have been played down by the President, emphasising the years of peace since the end of the war. When the border goes blank, this is where our President is caught short; Senator Sh’Ghee emphasised the same calm but tempered with engagement on the situation. With the Rigelian President shown to be TOO laid back on this issue, the writing was on the wall. The concerns of the outer colonies outweighed the uber-calm of the central core worlds. The new 2312 President of the United Federation of Planets (after Ra-ghoratreii and Wollixiwull) is a Caitian. Since 2308, this President has served one term after the previous Rigelian who served 8 years after Ra-ghoratreii. The new President was sworn in 2312 and has promised to shape the Federation for the century ahead. President Sh’ghee comes from a long and distinguished line of Caitian diplomats and is the first to ascend to the Presidency of the UFP. It is said that the Caitian race has not had a sufficiently loud voice in the Federation, a detail that the new President is eager to re-dress. 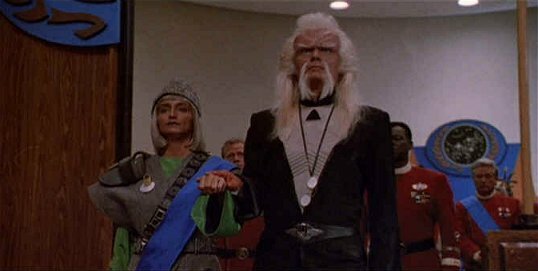 Under the watch of President Sh’ghee the Ferasans have allied themselves with the Klingon Empire in a Trade Agreement. Sh’ghee knows the cultural history with the Ferasans and the Treaty of Sirius; the Ferasan Patriarchy pressed for the abolition of the Treaty, freeing this genie from the bottle in which it has been kept for decades. Back home on Cait there has been a growing movement towards discussions with the Ferasans, the sentiment being that time has passed and blood is blood. Should the Caitian nation make a move to join with the Ferasans, this could mean that the President has to step down. R’less is the current Federation Council representative for the Caitian people. R’less took over when Aowr Sh’ghee was elected as Federation President in 2308. R’less entered politics after the people wanted someone to represent the Caitian Nation as a whole. R’less is pro-negotiations with the Ferasans but on the terms of the Caitian people. The trade agreement between the Ferasans and the Klingon Empire is seen as an embarrassment; the President is seen as having failed to foresee the move despite having the resources of Starfleet Intelligence at his disposal. Senator R’less has put herself at odds with the President for the spirit of the Caitian people. The election saw the Caitian vote split between support for the President and support for R’less approaching the Ferasan issue on behalf of Cait itself. With the outbreak of the Grey Revolution, Senator R’less is a strong voice in the Federation Council supporting an aid mission to the Lyrans with medical support. The hope being a gesture of goodwill could provide a platform for talks between the two cousin races. President Sh’ghee agrees with the aid mission but with the provision of caution given the historical enmity between the two peoples. The President does not want the Federation to be seen as either interfering within matters of the Lyran people, nor taking sides in this civil war. The President has made an open offer to send a negotiator to allow for a dialogue between the two sides of the revolution. 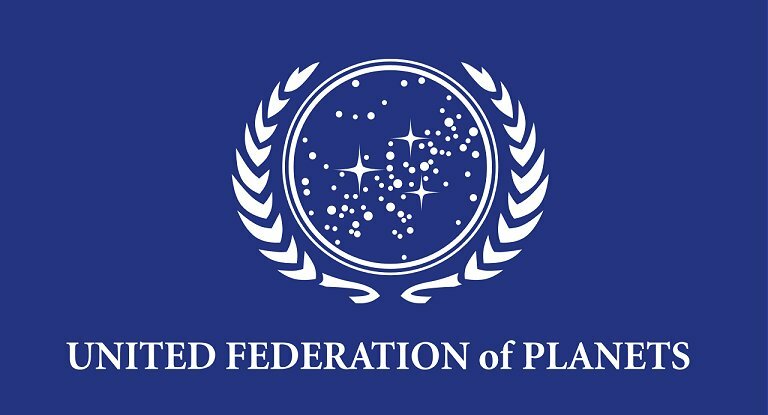 The United Federation of Planets is something that requires discussion in quite a bit of detail. So it's cup of tea time and a comfy chair before you read further. That isn't to say that the original dreams of Gene Roddenberry do not reach out beyond the core systems. It is just to say that the message and the dream is still spreading out from the homeworlds, like ripples in a pond. One example of this Nimbus III, the Planet of Galactic Peace. As shown in Star Trek V, despite the ideals of the Federation, and the best intention in the Universe, sometimes dreams take a little longer to come to fruition. despite the best intentions of the Federation, resources are not infinate. Many of the colonies shown in the Original Series also show Federation colonies [such as the ones visited by Mudd's Women] to still be of a basic nature, where the colony exists to supply dilithium to power the dreams of the Federation. Starbase 77 is another example of where intentions and ambitions have yet to gel together. The name Admiral Eugene Roddenberry has often been cited in very small print on starship plaques since the time of Star Trek: The Next Generation. It is only right that Gene Roddenberry have his mention is Star Trek history. This is, after all, his vision that he has shared with us all. "The above artwork is © Interplay Productions. All rights reserved"